Cameron Mancell is on the fence about the most important financial decision of his life — and he’s not alone. Tens of thousands of Torontonians are in limbo wondering if they should rent and invest money or buy a home and build equity. Cameron Mancell is on the fence about the most important financial decision of his life — and he's not alone. Tens of thousands of Torontonians are wondering if they should rent and invest money, or buy a home and build equity. "There's so many choices, there's so many options," Mancell said. "It's a big commitment. It's almost like a paralyzing decision to make." 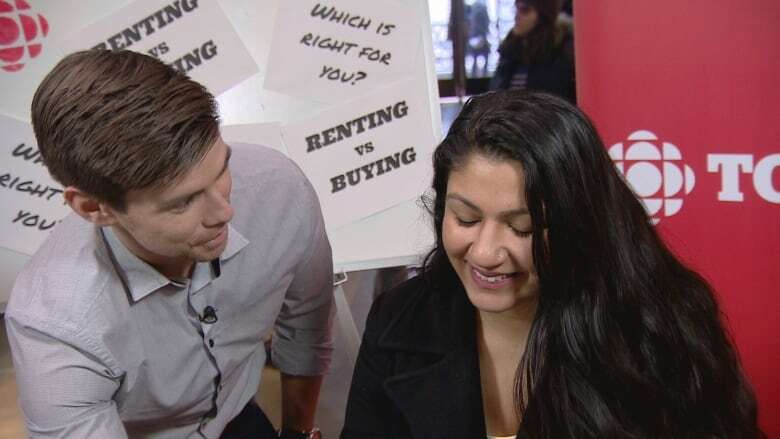 Try CBC Toronto's calculator at the bottom of this article to help determine whether renting or buying is better for you. 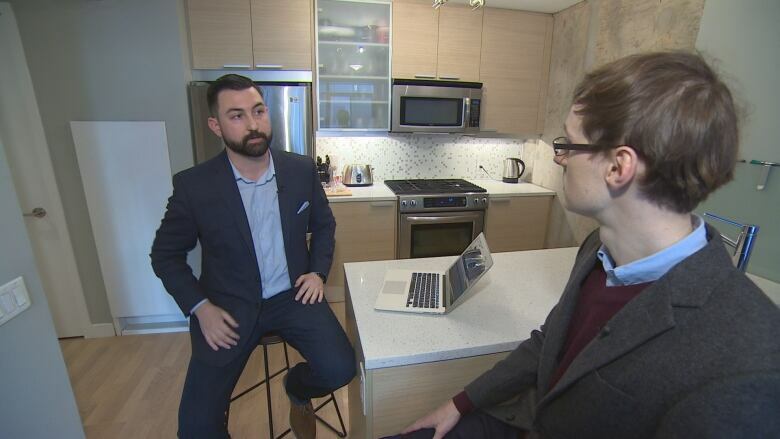 To help with that decision, Mancell responded to a callout on Toronto Housing Woes — CBC Toronto Facebook group, and got the advice of financial and real estate experts, Ben Sammut and Shannon Lee Simmons. Sammut explained the machinations of getting pre-approved for a mortgage to Mancell: banks start by asking for employment details, your debt and your credit score, the mortgage broker said. 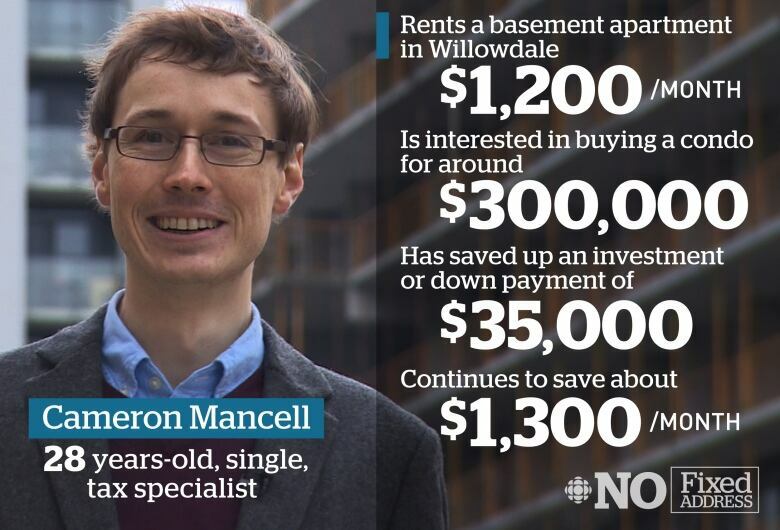 If an applicant like Mancell spends more than 39 per cent of his income on servicing debt, like a mortgage, he'd need to buy something cheaper to still be able to qualify for a mortgage from the big banks. Cameron Mancell needs help to determine what is the best thing for him to do with the $35,000 he's been able to save up. Sammut said a good rule of thumb for all first-time home buyers is to budget at least 1.5 per cent of the property's value for closing costs, such as lawyer fees and land transfer taxes. In Mancell's case that's about $5,000 for a $300,000 condo. Planning for those costs will chew into what you can afford, but make sure you're covered on the final day of signing, the broker said. Sammut told Mancell that when buying a house, a potential buyer needs to look at every option for cash. He asked Mancell if he could count on help from his parents. Cameron said they offered, but his principles kept him from accepting. "In the Toronto market, pride will cost you a whole lot, if you don't let mom and dad help, especially as a millennial," Sammut replied. Parents and grandparents can also help millennials in other ways. If a buyer qualify has bad credit, family can act as a guarantor. They can also act as a co-signer to help the buyer qualify for more money. In both cases, the mortgage rates would remain the same. "There is a higher cost to owning," Sammut said. "But a way of thinking about it is [that] half of every mortgage payment goes towards paying down principal. So, it's essentially like forced savings." He also pointed out that selling a principal residence is tax exempt. "That is pure cash in your pocket." 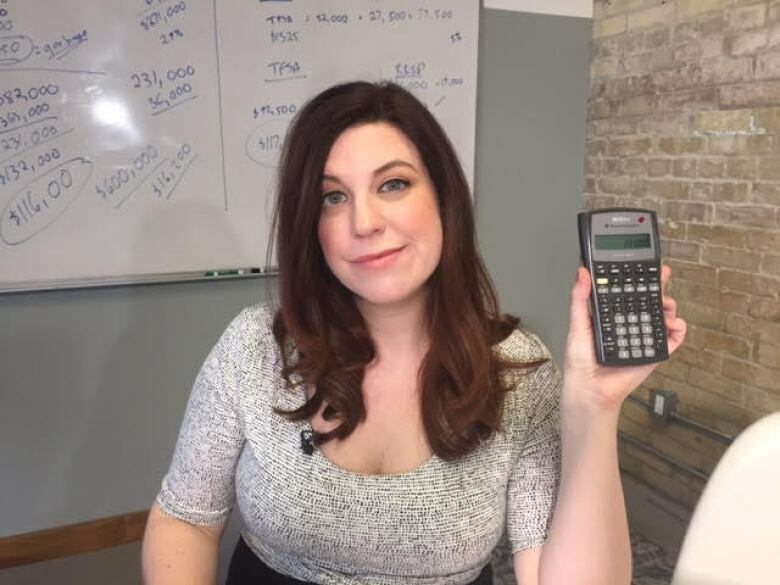 Across town, armed with a calculator and a counter-argument, sits financial planner Shannon Lee Simmons in the swanky basement boardroom at her company's office. While a homeowner builds equity on paper, they can't cash in on that unless they actually move, Simmons said. "Yes, you have the house appreciation, but here's the thing: most people don't sell their house," she said. "And if the house is so expensive that you're not able to save for an investment portfolio on top of that for retirement, you have all your eggs in the real estate market." People are considered to be carrying too much debt when they can just barely afford their mortgage payments. It's a major concern right now, Simmons said considering interest rates are at record lows and could rise. Simmons tallied up Mancell's "sunk costs" of housing: mortgage payments, home insurance, property tax, condo fees. She found that he'd be spending more each month to buy a $300,000 condo, compared to his $1,200 monthly rent. 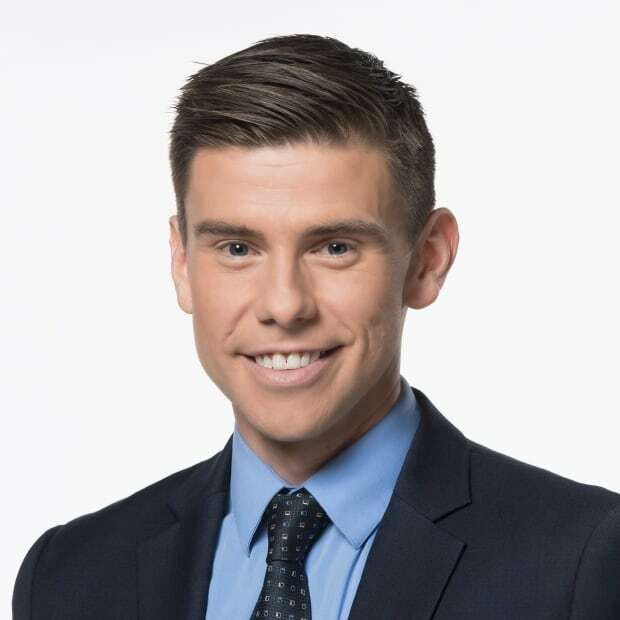 While house price appreciation has been "wild and wonderful and terrifying" over the last decade, the fees to move into a new place can be punishing, Simmons said. "As we sell and get those gains, we also have to pay real estate fees and we also have to pay land transfer tax. So it can be tens of thousands of dollars that are just eating into any equity." Simmons presented Mancell with an equation that, with a rate of return of five per cent in an investment portfolio, would see him earn more in five years than if he were to pay down his mortgage and increase his home equity. And because Mancell hasn't taken advantage of his tax-free savings account, most of that savings is tax free, just like a house would be. Neither the stock market nor the real estate market are guaranteed, but over the past 10 years, the real estate market has by far outpaced investments. 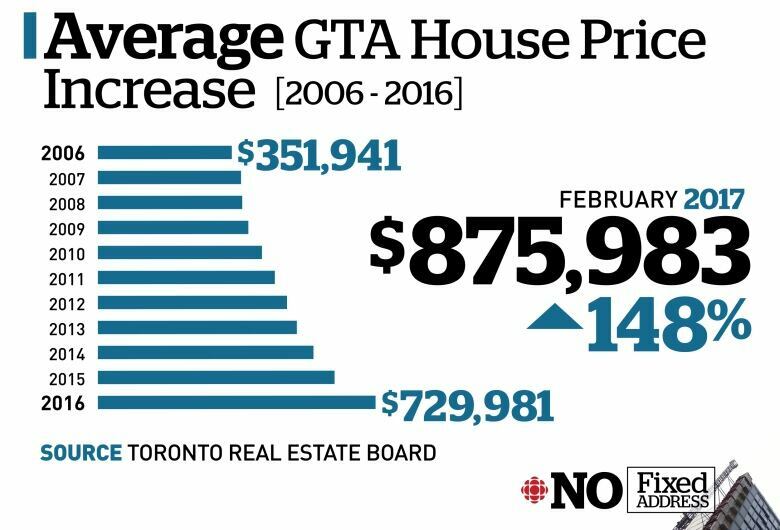 Average home prices in the GTA have increased an astounding 148 per cent over the past decade according to numbers provided by the Toronto Real Estate Board. 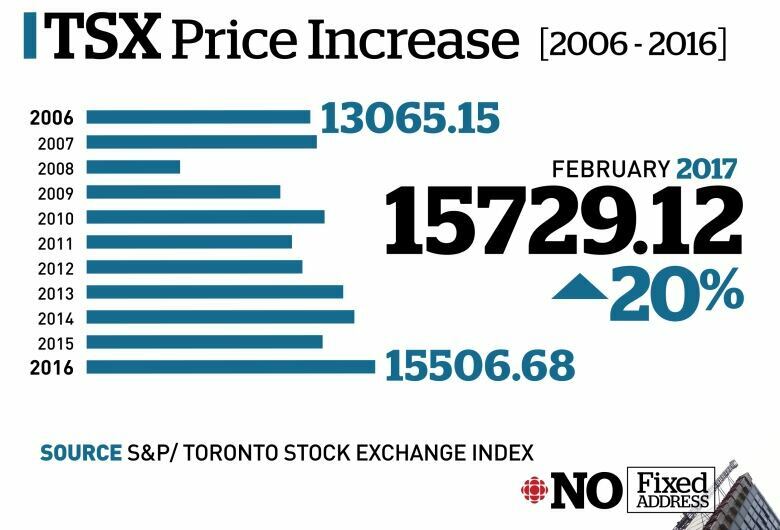 The Toronto Stock Exchange has increased in value roughly 20 per cent over the past decade. CIBC's deputy chief economist said that sort of continued growth isn't manageable. "It's reasonable to assume that probably the stock market will do better than the real estate market over the next decade," Benjamin Tal said. "I think we had a very strong decade in the housing market in Canada, [but it's] unlikely that we will see this kind of performance repeating itself."